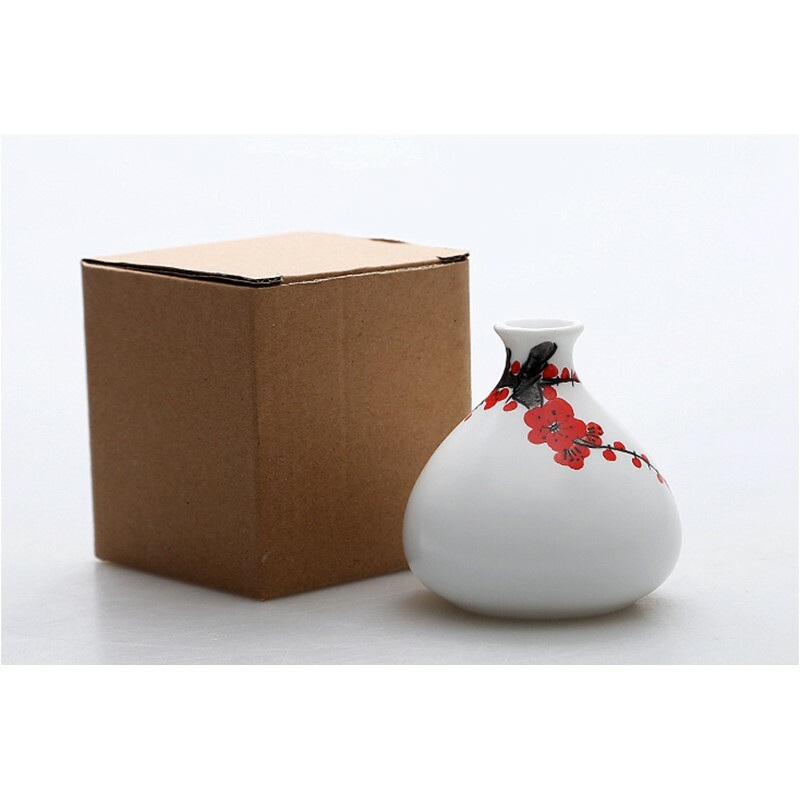 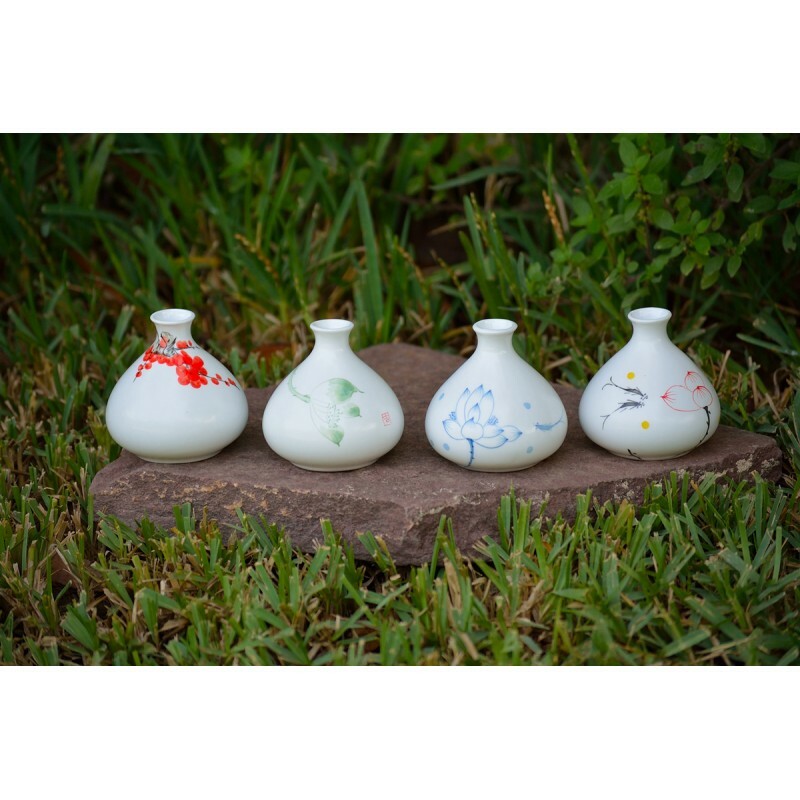 Dragon Art brings you a special selection of hand painted mini ceramic flower vases, being very traditional artisanal objects in the orient. 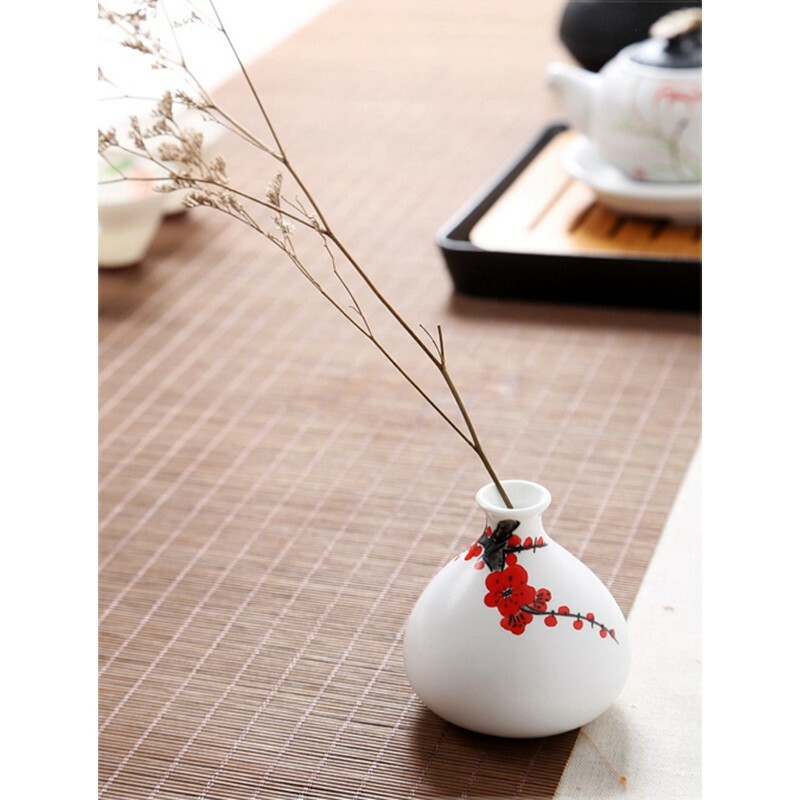 They are made of high quality ceramic that has a very pure colour and is slightly transparent as though it were the colour of snow, and it has a special shine. 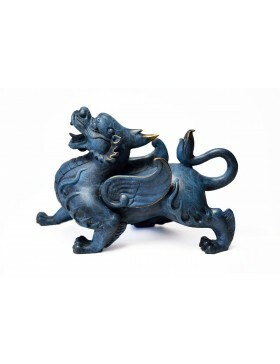 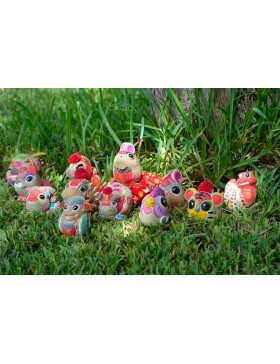 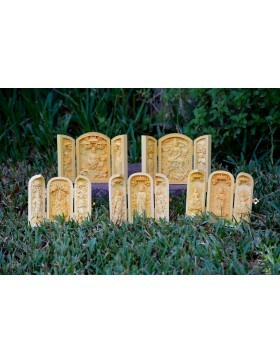 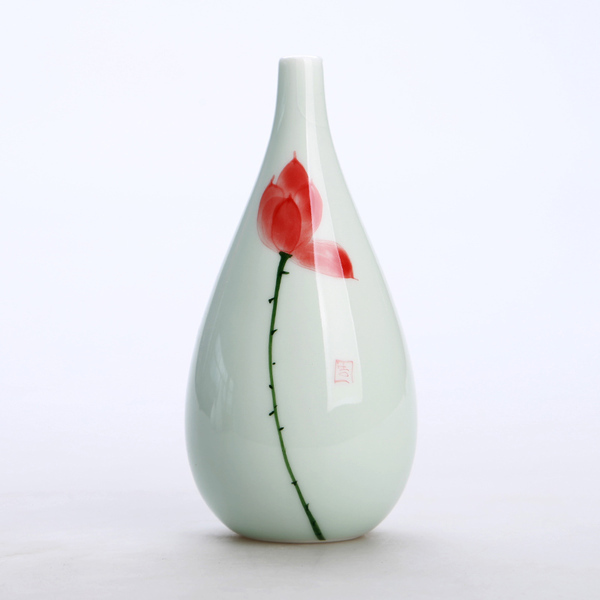 The artisans paint each one by hand with a different oriental-style decoration using milenia old techniques. 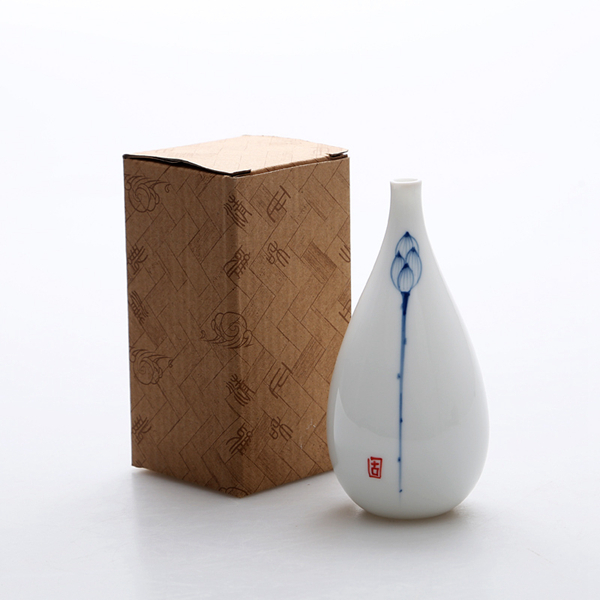 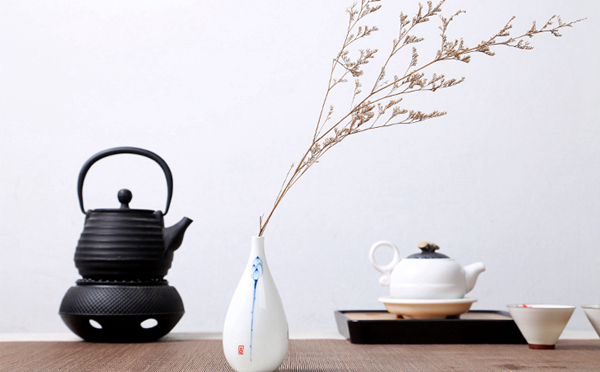 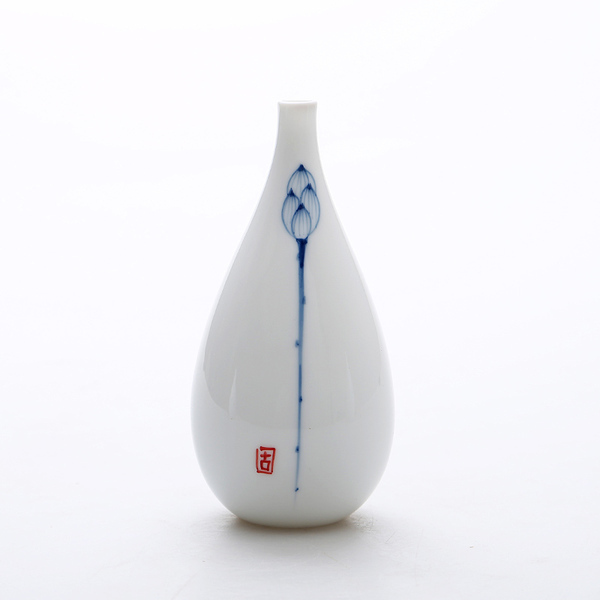 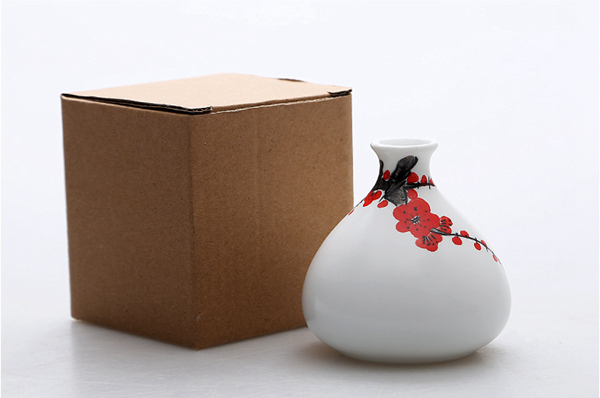 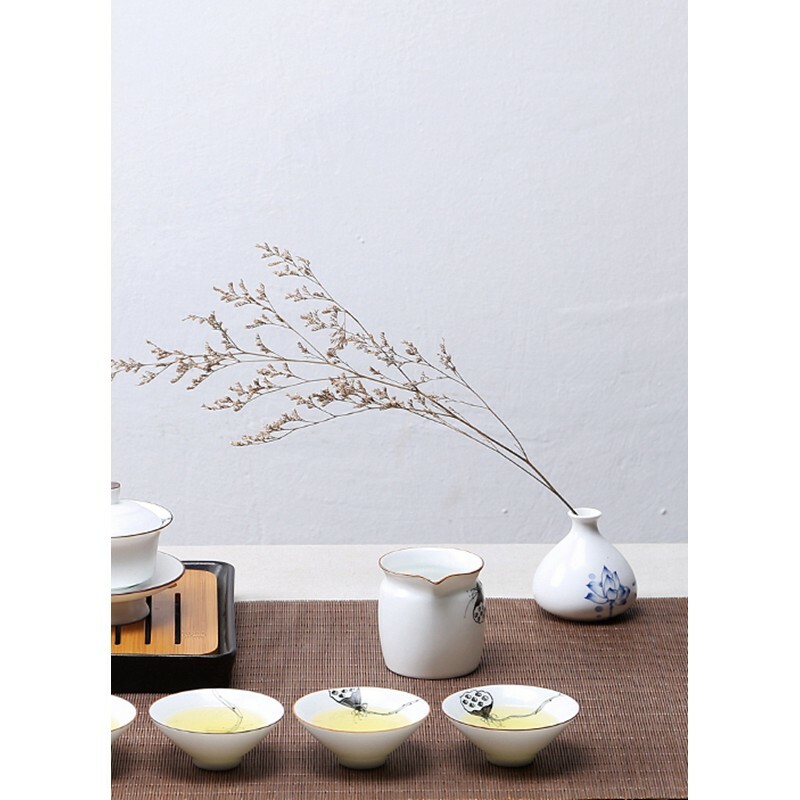 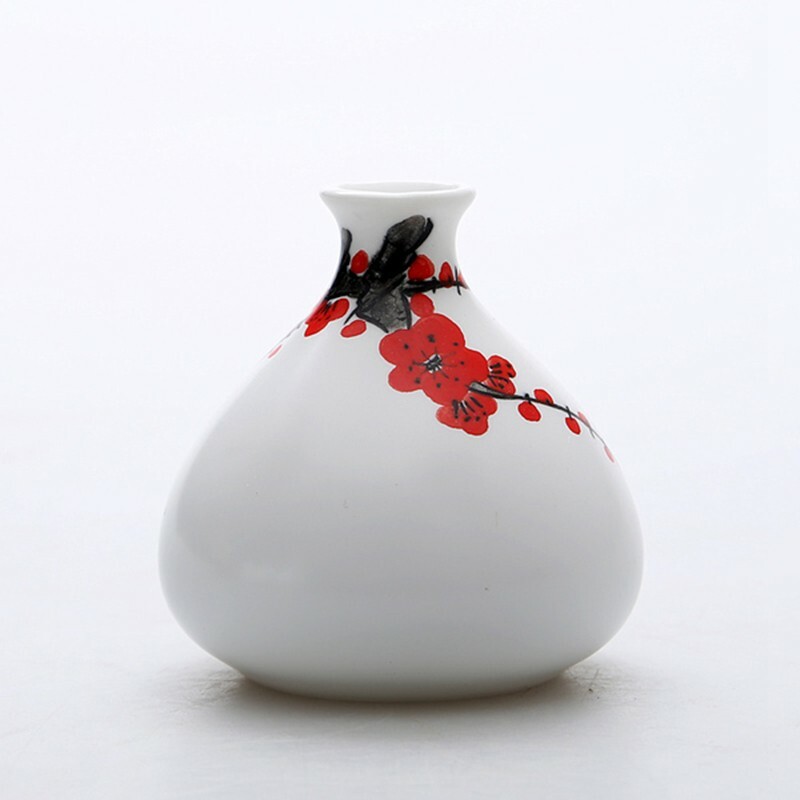 There are two different shapes of vase to choose from, one tall and narrow, and the other shorter and more spherical. 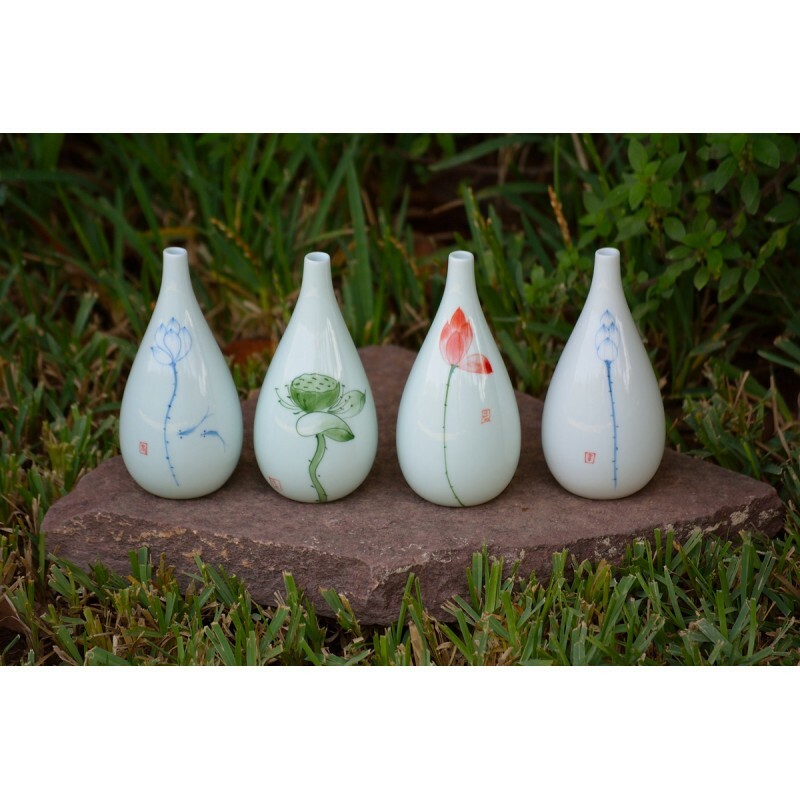 They are very small vases so they make very cute ornaments that will surely give a fresh sensation and a sense of harmony to your home. 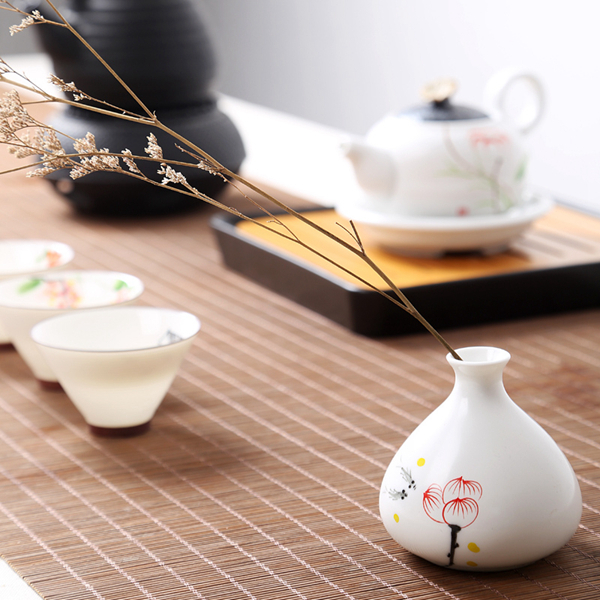 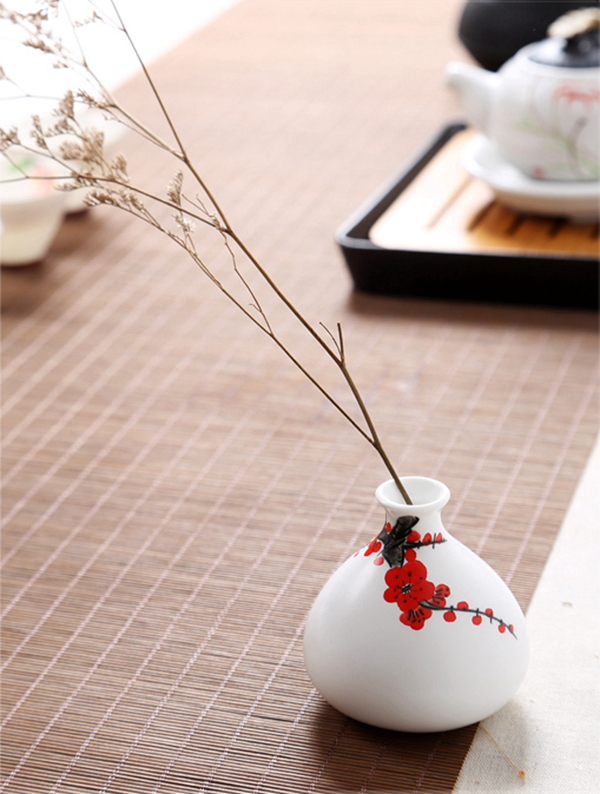 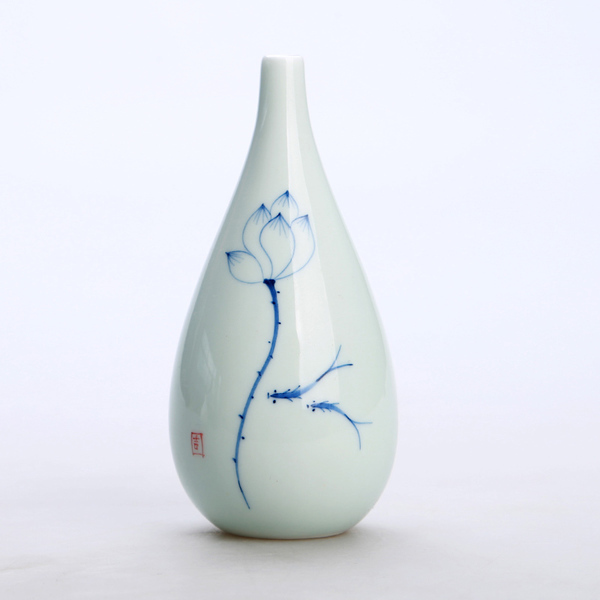 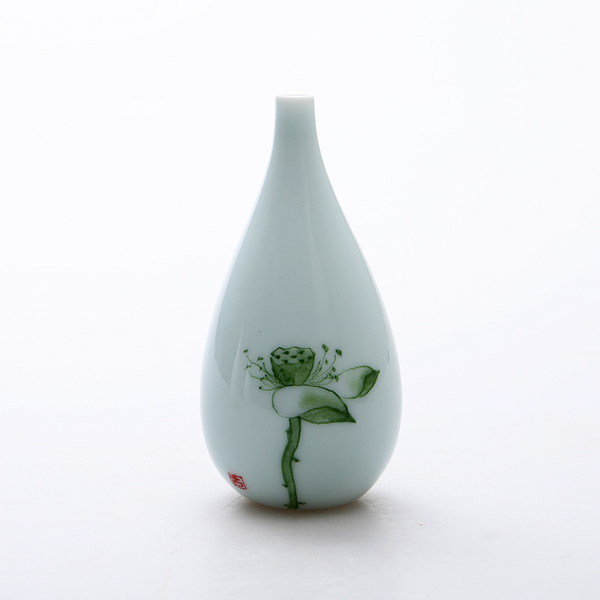 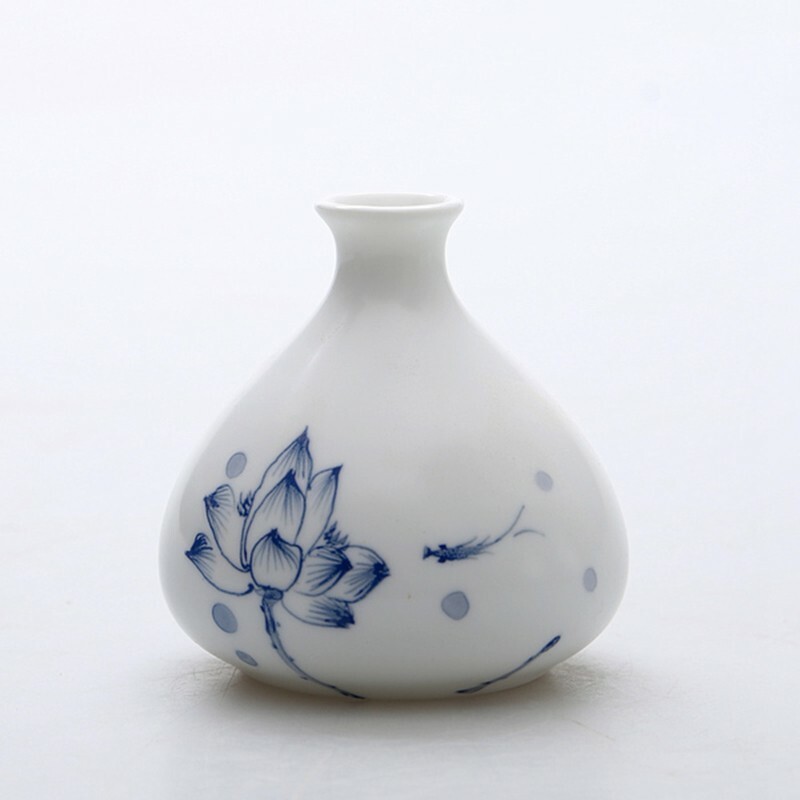 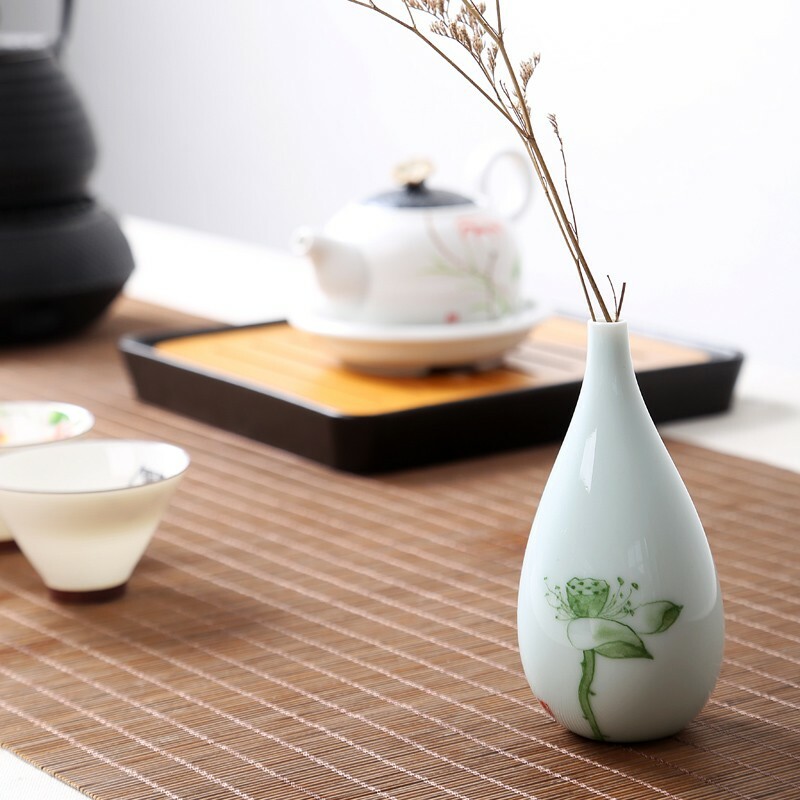 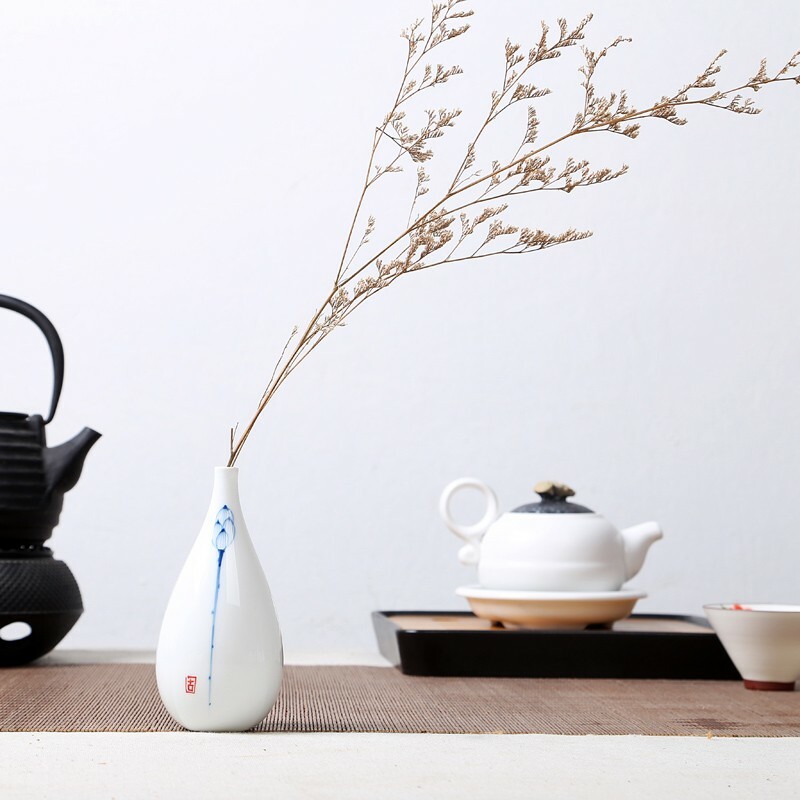 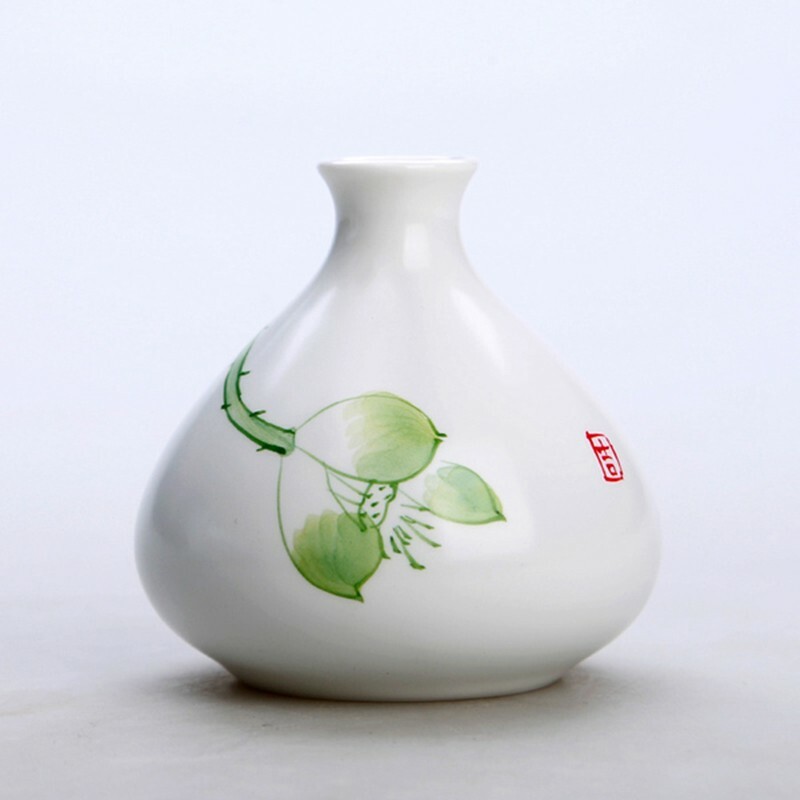 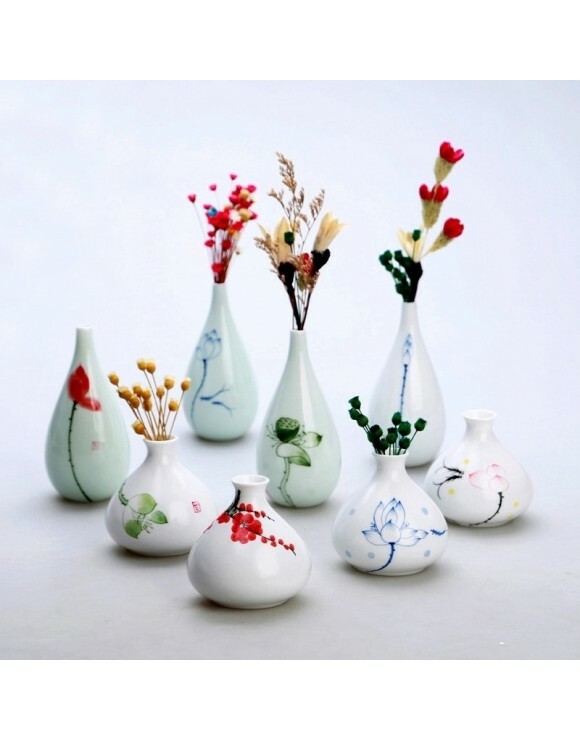 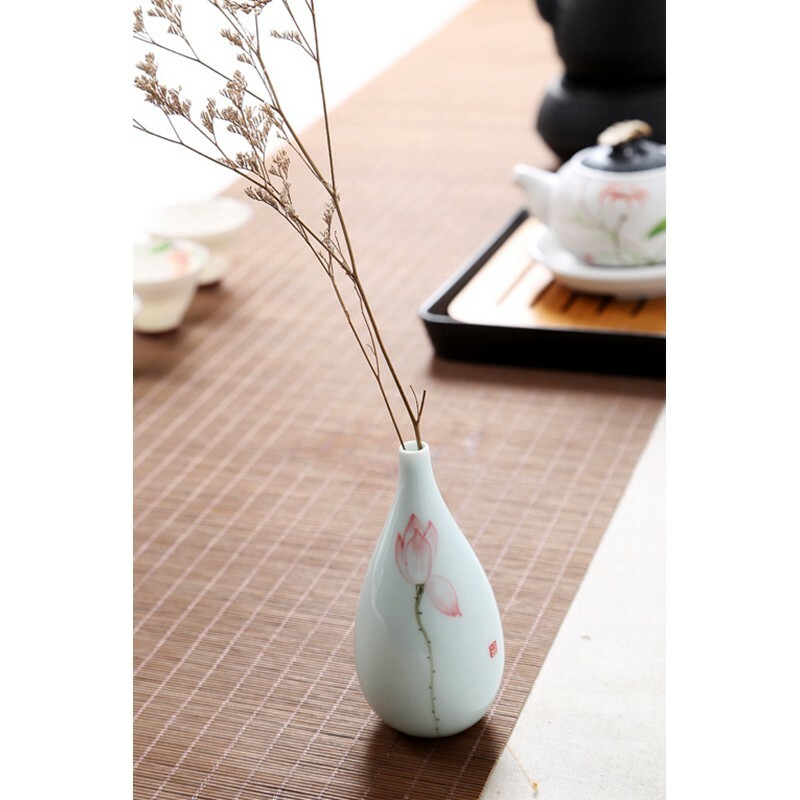 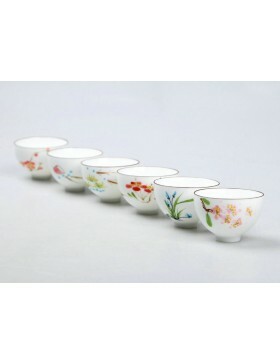 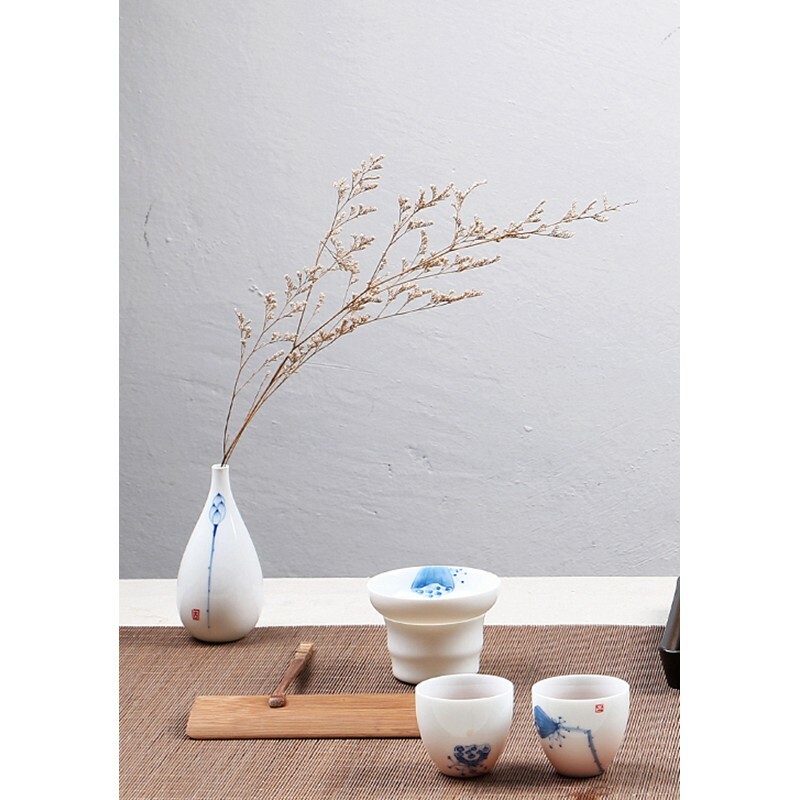 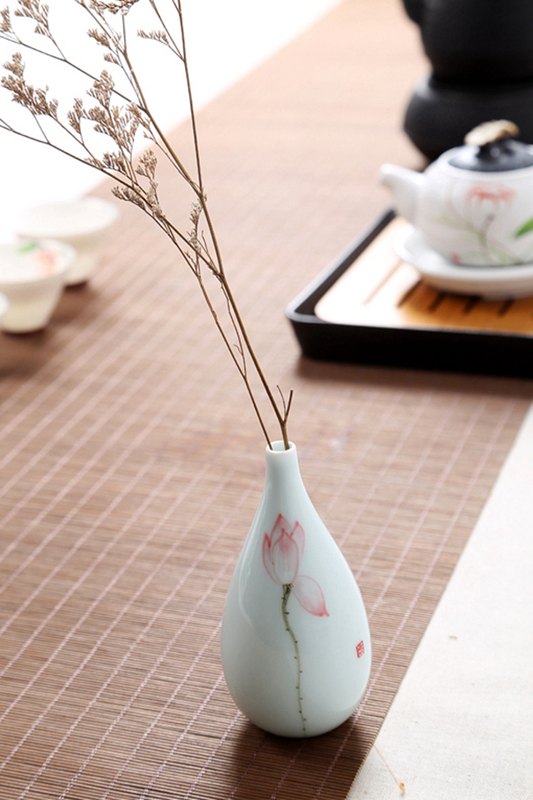 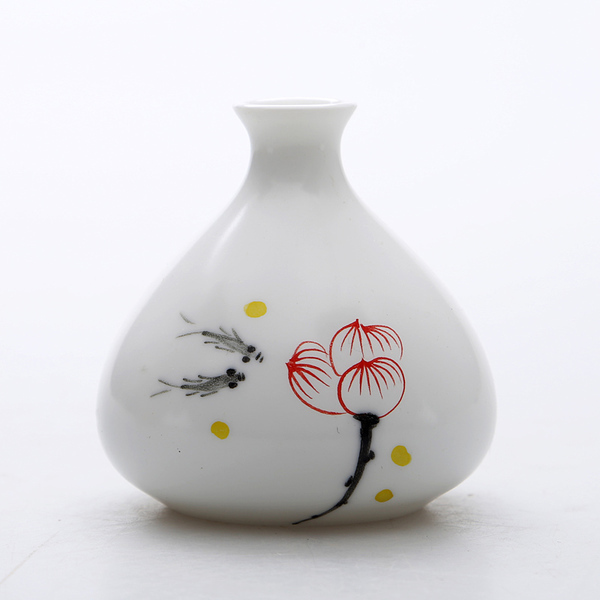 The collection of mini vases has various different designs painted by hand: red flowers of the Chinese plum, small fishes play among lotus flowers, the beauty of lotus root, happiness of the fish, green lotus root, the fragrance of lotus flower, flowering of the lotus, the beauty of the lotus. 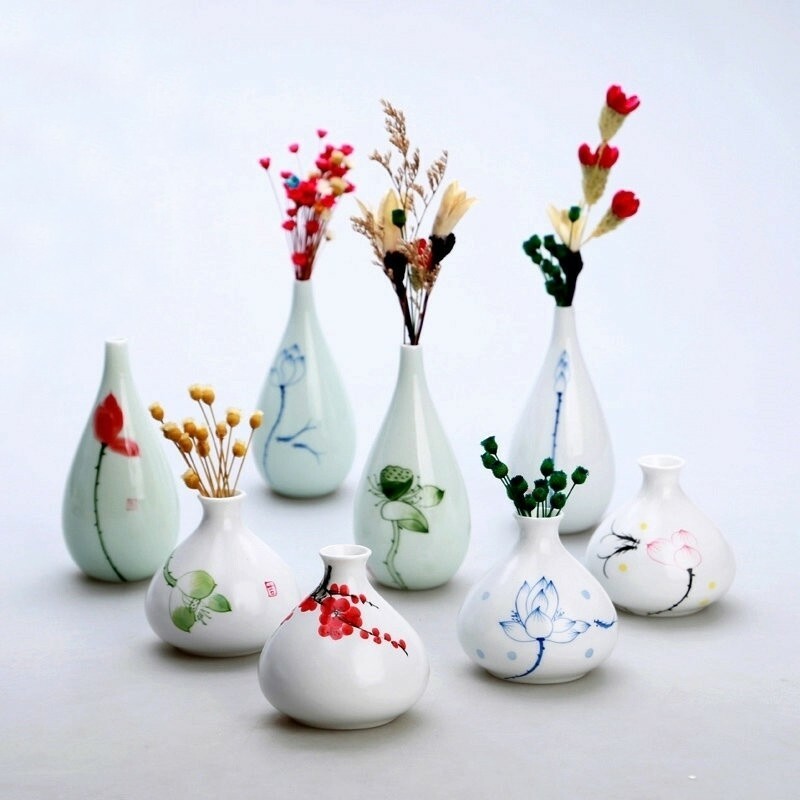 Each of the mini vases is made by hand so each one is unique and no two pieces are the same in the whole world.